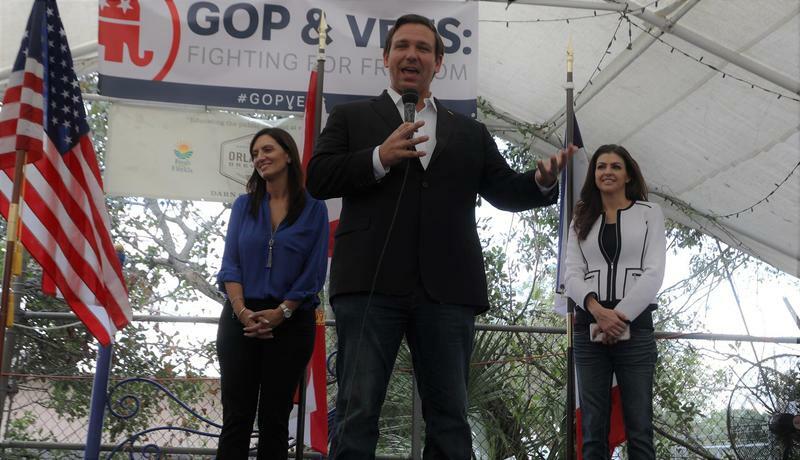 DeSantis on Thursday announced that he wants to remove all "vestiges" of Common Core that remain in the existing standards. The standards are important because school children take high-stakes tests that are linked to them. DeSantis issued an executive order directing Education Commissioner Richard Corcoran to hold public hearings and develop new standards by January 2020. Florida was one of the states that relied on Common Core, which was part of an initiative launched by top education officials and governors across the nation. But opponents decried them as a nationalization of education policy and standards. In 2014, state legislators tweaked the standards and renamed them but many of the underlying standards remained the same. With lawmakers in town for Session, many groups pick up the mic to air their grievances. 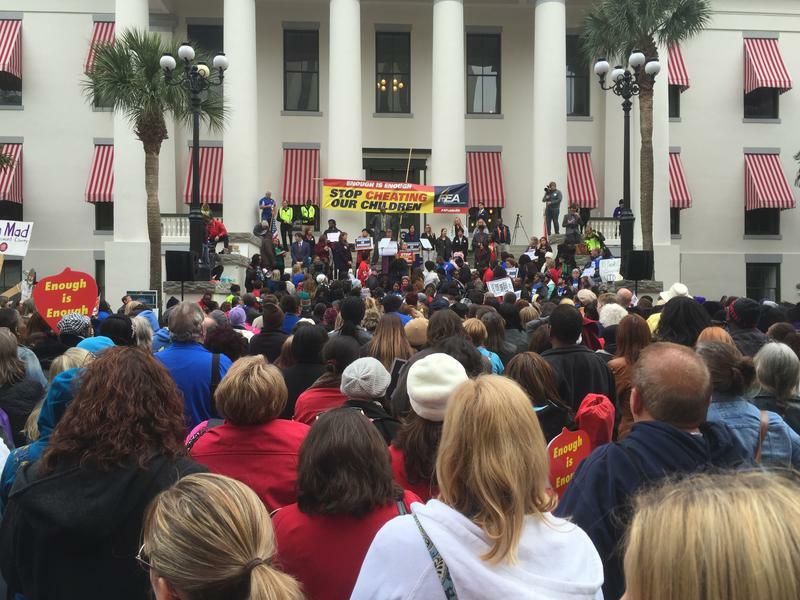 The cries of teachers filled the Capitol Courtyard Thursday.